This year the AOF celebrates 60 years since it presented its first awards. A 60th anniversary is always a wonderful occasion – a diamond celebration – and is especially meaningful to us at the AOF as we look back on the number of young skilled people who have been helped to shape their careers. The founders of the VOF (Victorian Overseas Foundation) which later became the AOF (Australian Overseas Foundation) could not have possibly realised that the organisation would expand nationally and sixty years later still be providing exceptional opportunities for young people. I pay tribute to those founders and the many people who have been involved over the past sixty years. They are to be congratulated on their worthwhile efforts. For a voluntary organisation such as the AOF to exist for sixty years and to be still making awards to young people is most certainly an achievement and one of which we are very proud. However we could not do this without the help; of our generous sponsors. Our grateful thanks go to the Australian Government Department of Education and Training, The Victorian Government Department of Education and Training, Incolink Employment Services and the Geelong VOFA Group for sponsoring this year’s awards. Sponsoring an award means giving a young skilled person an opportunity to gain important overseas experience and knowledge and bring this back to Australia. The value to industry is immeasurable. These sponsors are not just making an award, they are making an investment in the future of our country. At an impressive Presentation Evening in October 2016 four well deserving young people, Jarrod Agnew, Caelen O’Rourke, Hamish Rose and Sandra van der Gaag received their overseas awards. These were presented by Apprentice Ambassador Kevin Sheedy who gave words of encouragement and sound advice to the recipients. The AOF currently has nine awardees overseas honing their skills and developing their characters with their progress closely monitored by our CEO John Bieske. Upon their return debriefing sessions will be held with the AOF Board and their sponsors. At a sponsors’ luncheon held during the year Morgan Clementson, a Baker and a 2014 Awardee gave a presentation of her experience and work overseas in Belgium. Morgan is doing extremely well in her work and is an excellent example of the benefits of an AOF Award. The Board has met regularly throughout the year and we are gain grateful to Toyota Australia for providing us with excellent facilities for our meetings. Some changes in membership have occurred during the year with Aarti Chopra and Anne Najar both leaving because of pressure of work commitments. Three new members have been welcomed as Directors. Kristen Collins, Marcia Devlin and Amy Maiolo provide a good gender balance and bring a wealth of knowledge and skills to the Board. The AOF Board is continually aware of the need to streamline and improve its operations and along with the improved Logo introduced last year a completely new Web Site has been developed. We are extremely grateful to Incolink Employment Services for their generous donation to develop this new site. With more young people taking up apprenticeships at a more mature age and many of these with family commitments the Board has recognised the need for more flexibility in the structure of awards. A short term study tour format has been introduced to cater for the requirements of these people. At the Awards night last October the Board had the pleasure of awarding long-standing Director and Vice Chairman John Panozzo Life Membership of the AOF.- an award richly deserved. 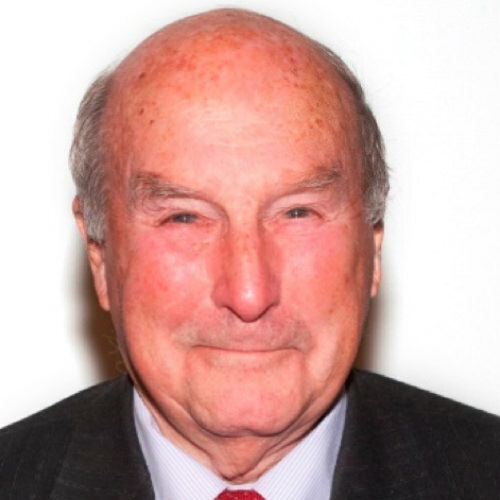 John joined the Board in 1974 serving continuously since then and becoming Vice Chairman ten years ago. Sadly John passed away suddenly on 23rd December 2016. John was a member of the Awards selection panel for many years and had an eye for detail and correct procedures. He was a good member and dedicated to helping young people achieve their ambitions. John served an apprenticeship as a Motor Mechanic and received an overseas award in 1961. He later became the National Service Manager for Toyota Australia. John was a testimonial to the value of an AOF Award. He will be greatly missed by all. The AOF Board consists of people who are dedicated to advancing the careers of young people and willingly give their time on a voluntary basis. Their reward for this dedication is in seeing the development of these young people and the benefits acquired by their industry. On behalf of the Board I express gratitude to our CEO John Bieske for the hard work he has undertaken to place winners in their selected countries and for the ongoing attention to their welfare. We look forward to another successful year.